An intimate exhibition is setup in the networking area where delegates will have the opportunity to meet and interact with the exhibiting brands who would be showcasing new products and solutions which have on offer. To ensure a high-quality of delegates involving relevant industry stakeholders, the attendees to the conference are pre-qualified and can attend only by invitation. Networking sessions are incorporated in the event agenda to allow delegates and the event sponsors to interact with each other and take their relationship forward. A typical event will have four networking breaks. Panelists comprising of different domain experts will share their views with the audience on key aspects related to façades. Audience have the chance to ask questions to the panelists to delve deeper into the subject. 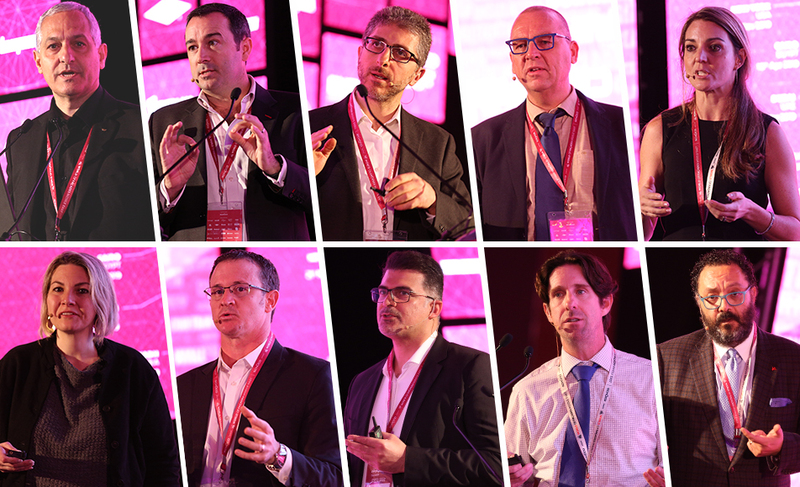 International keynote speakers are invited at every event to showcase iconic project case studies and new innovative concepts in the domain of façade design & engineering. In selected editions, a presenter will present a PechaKucha 20×20 which is a simple presentation format where 20 images are shown for 20 seconds each. The images advance automatically as the speakers explains them. This has proven to be an impactful syle of presentation. "There is a tremendous buzz and lot of energy with a broad participation across the industry with representation from designers, developers, fabricators and it was very good day. The event brings people together in an open forum which is great for the industry and also helps in bringing new technologies out in the open." "It’s a very exciting event to be honest. I’m surprised that no only there are so many people attending from the speciﬁer audience but also from the consultants, property developers and also from other construction segments. It’s a very interesting event for us to focus and consider in the future as well." "So far we have been happy with the Zak organization. We had a successful co-operation last year, that’s why we came back to participate this year. The proﬁle of the participants is good and that’s clearly the key targets for us to meet and we are happy to see them over here." "Have a chance to expose to the latest development of the facade design and the latest state-to art projects in the world. It has presented variety of design and data adopted by the consultants to implement to the latest projects." "The invited delegates from across the industry was a key differentiator at the Zak World of Façades conference! In my opinion, the grand success of this conference must be attributed to the audience"
"It was a great platform for creating awarness on ﬁre safety in facades. Next time please keep us informed earlier so that the DCD can play a larger role in this event." "In the last 6 months, I have attended 3 events of yours and has made me know learn more that what I knew about fenestration. Looking forward to your future events"
"Its an excellent event and very well organised. We can rely on Zak and that is why we have been a part of all the events as a sponsor as they draw good quality delegates and position our brand is a very nice way"
"Our group has been associated with the several of the Zak events in India, Middle East and now in Singapore and I just informed the organizers that this is the largest and the best organized façade conference in the region for years and years if not ever." "The take-away information and experience more than meet my expectations." "This was the best conference I have attended for a long time. Well done." "Technoform has been a supporter of Zak events and exhibitions since your first event some 8 years back and since then have participated in all way: Exhibitor, Sponsor, Speaker, Panel list, Visitor. I must say that the event of last week was your best work yet. 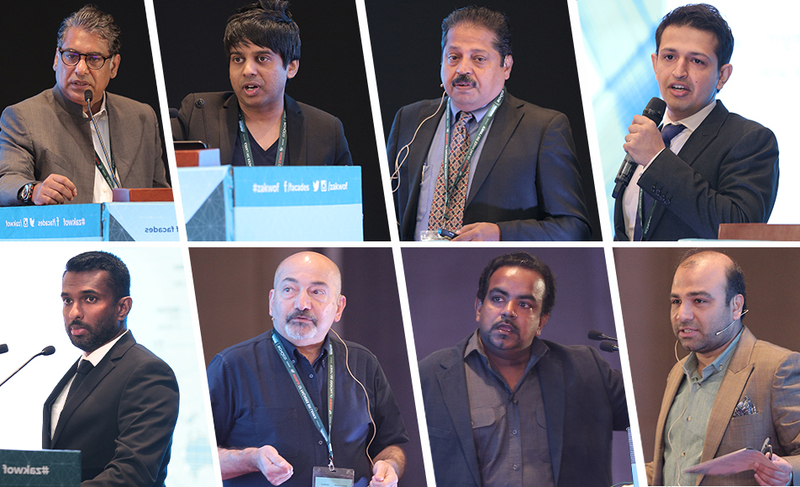 The number of top level persons from the industry that you had brought together was at an excellent level. Not only in quantity but also in quality! "The conference was a highly successful successful one, it gave us the opportunity to meet and network with the right decision makers from primary market. The spectrum of audience was well spread and well attended. Overall we had good conference"
"Great event, very well organised and the topic on fire safety in façade was interesting with the views from the Qatar Civil Defence representatives"